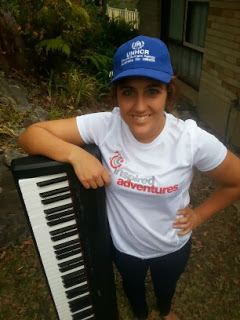 Belle Robinson, musician, music teacher, student nurse is about to embark on a trip of a lifetime with the help of inspired adventures and the UNHCR charity. Belle will be embarking on a trek to the summit of Mount Kilimanjaro as part a a fundraising event for the emergency response program for the UNHCR refugee agency. Belle’s Sunday Soiree is a gig at Ryan’s Hotel, Thirroul on Sunday 10th November from 3-8pm featuring The Blue Salt Band + Stephen Goldrick & Friends + Pete Thomas and of course Belle Robinson. All money from the event goes to the Emergency Response program for the UNHCR Refugee Agency.